This private full day tour is perfect if you have only one complete day to visit Curitiba and does not want to miss any highlight! In this tour you will visit Curitiba´s main sightseeing places in the morning, you will have a typical lunch in Morretes and return by train to Curitiba in the scenic railroad. Enjoy the most popular destinations in Vila Velha. 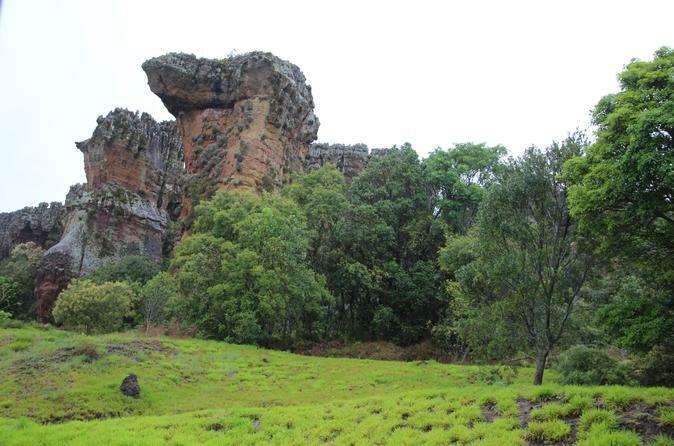 Visit the Vila Velha State Park (about 90 km from Curitiba). Walk among the unique sandstone formations, the Dourada Lake, and the Furnas Dam. 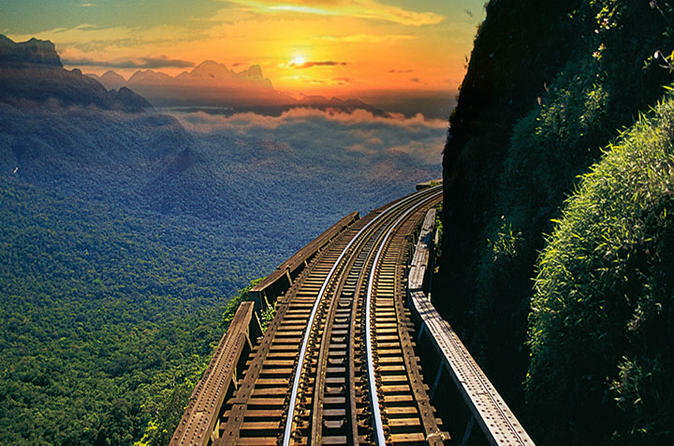 Elected among the ten most beautiful world's train rides. On this tour, you will have the incredible experience of being on the trails during the sunset, enjoying the beautiful scenery of the Serra do Mar Paranaense. Private day tour to visit two very interesting places: Vila Velha State Park and Witmarsum. 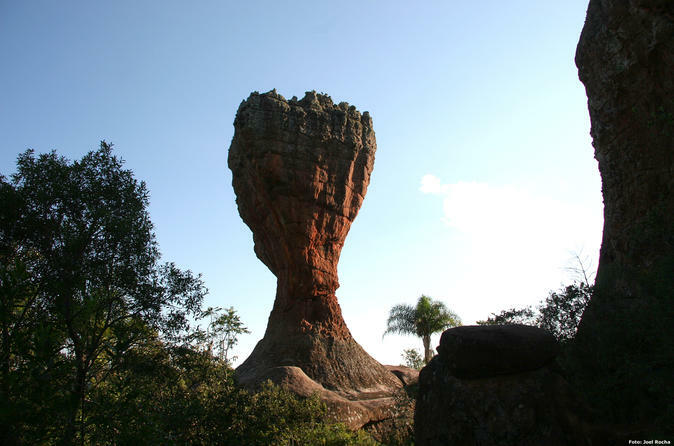 Vila Velha Park (Parque Estadual De Vila Velha) impresses with its stone formations with curious forms that were created by the nature millions of years ago. Witmarum is a rural settlement founded by Menonites in the 1950s. Enjoy the beautiful landscapes and the rural atmosphere. A delicious lunch is included (German specialties). Be picked up from your hotel and go to directly to station and get on board the train to Morretes City. Travel through the centenary railway, built in the nineteenth century. Visit the historical side of the city see its colonial houses, craft market and churches, and have a delightful lunch.There will be plenty of time to enjoy the local culture on this 9-hour tour. Private day tour to Vila Velha, located about 100 km from Curitiba. This state park is wonderful for those who like nature. 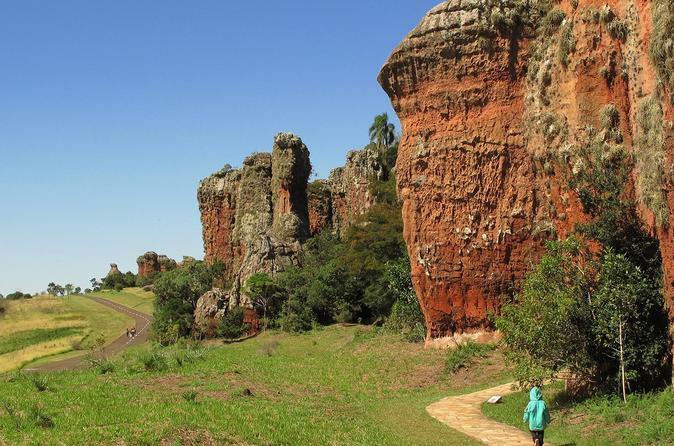 See stone formations that were formed millions of years ago and enjoy the beautiful scenery of Campos Gerais, the beautiful fields that begin close to Curitiba. Private evening tour in Curitiba to see some highlights and have a cheerful dinner in a beloved local restaurant. 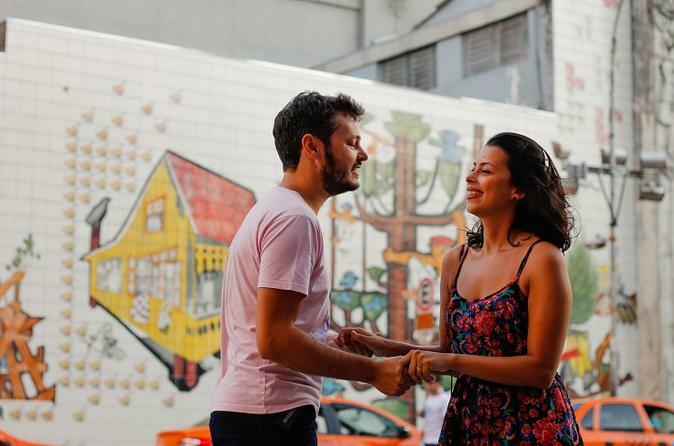 The tour includes highlights such as Museum Oscar Niemeyer, Botanical Garden, Wire Opera House, downtown, Largo da Ordem (old town) and also the popular gastronomical neighborhood of Santa Felicidade, famous for its huge restaurants. Min. 2 persons required for booking. 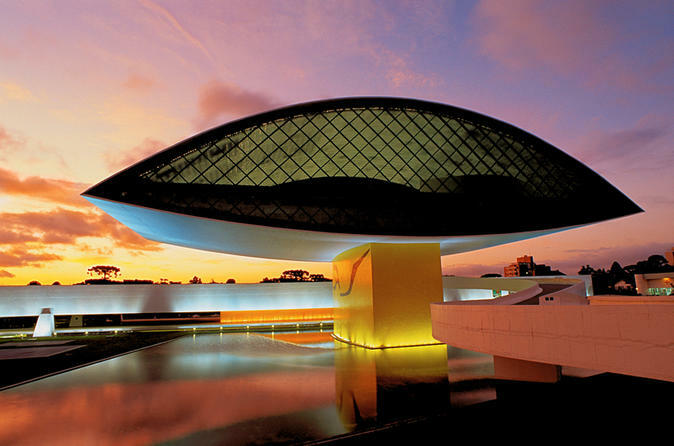 This private tour includes the most visited parks in Curitiba, such as Botanical Garden, Wire Opera House and Pope´s Woods and also an external visit to the famous Oscar Niemeyer Museum. You will also have a good overview of Curitiba´s downtown area. Private tour for people looking for a hiking tour in the middle of the Atlantic Rain Forest. 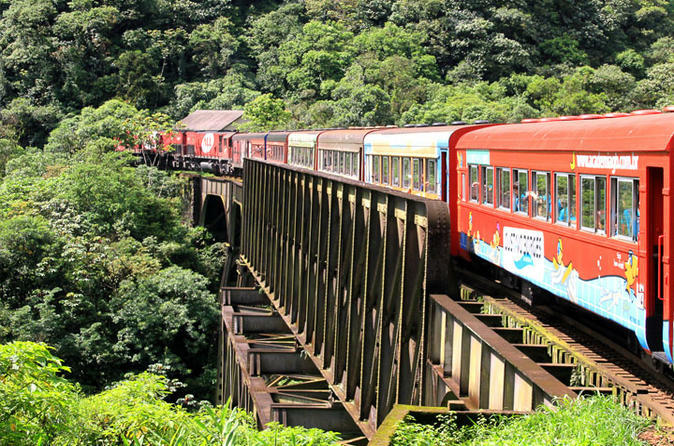 You will take the scenic train tour until the Marumbi Station from where you will get off with your local guide to hike in the middle of the nature in the ancient Itupava trail. Time for snacks and take a bath in a crystal clear river in the mountains. Typical late lunch in Morretes and return to Curitiba. 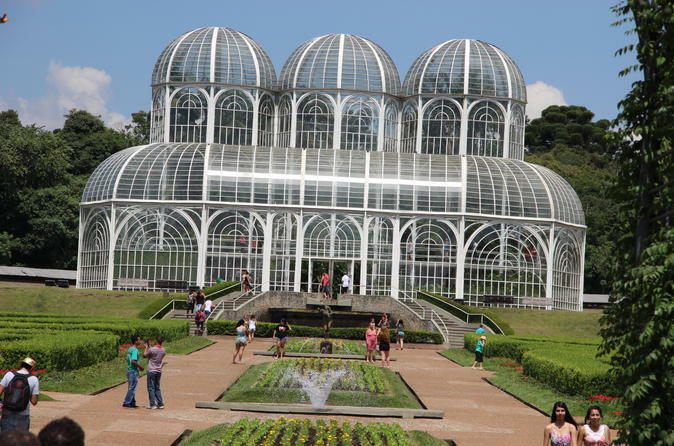 This 4-hour tour includes a 2-hour private photo shoot with Curitiba's scenery as the background. A professional photographer will be with you for the first 2-hours of the tour and will photograph you in a very natural way. A very nice and exciting way to keep your travel moments alive. 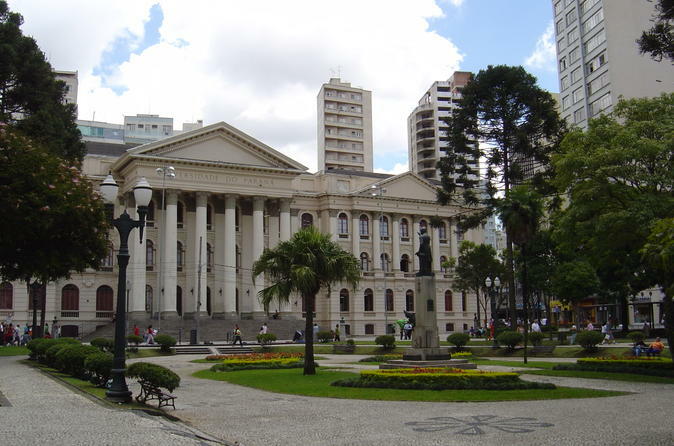 The second part of this tour is a private walking tour of Curitiba. Plan out your last 2-hours and see that sights you're most interested in, or ask the guide to suggest unique locations for you to explore. Attain a deeper look at the city of Curitiba on this 9-hour tour, complete with a 2-hour photoshoot. A professional photographer will accompany you and your private guide during the first portion of your tour to take memorable photos with you. At the end of the day, you may either have your pictures email to you or loaded onto your USB device. 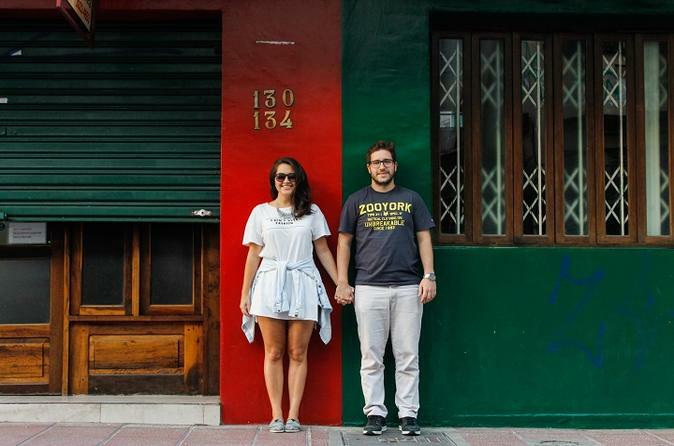 Book a private walking tour downtown through Curitiba´s culture and history! Visit streets and touristic highlights and hear about our history from over the last 350 years, unknown even by many locals! Minimum 2 persons for booking. 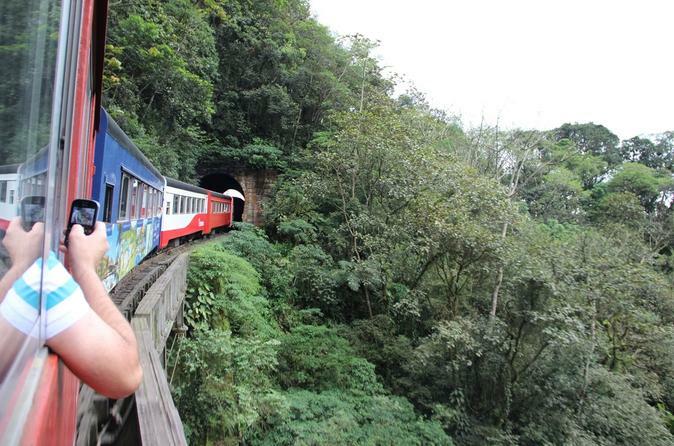 This is a popular private train tour to Morretes in Curitiba. 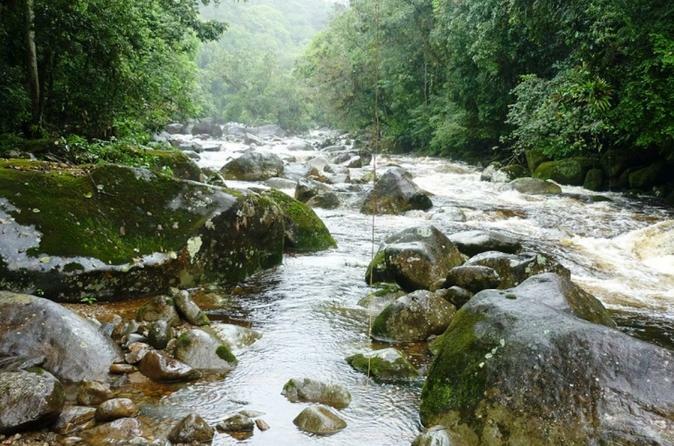 Travel to see one of the the largest Atlantic Rain Forest areas left in Brazil. This scenic tour that includes a typical lunch. 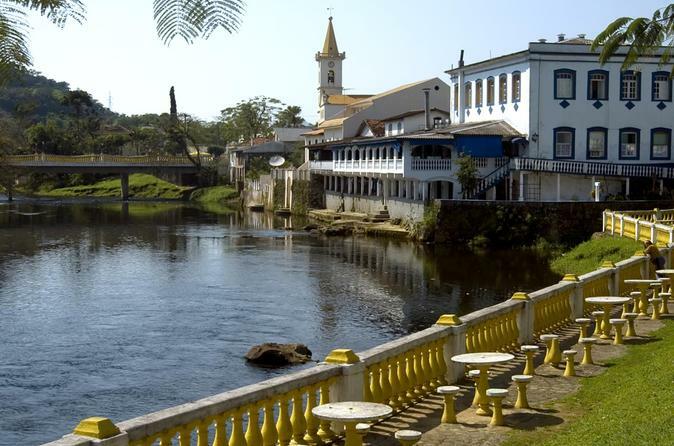 Visit Morretes and Antonina before returning to your hotel in Curitiba.